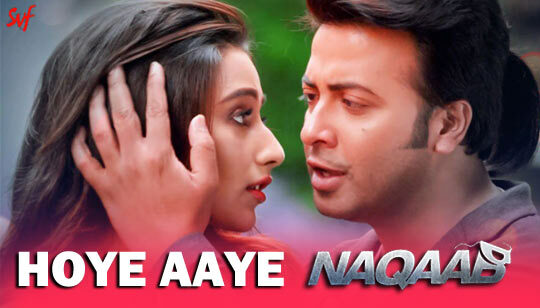 Hoye Aaye Lyrics from Naqaab Bengali Movie: Presenting bangla new romantic song 'Hoye Aaye Bondhujon' featuring Shakib Khan & Sayantika Banerjee. The song is sung by Shaan Music composed by Dev Sen And Bangla Song Lyrics written by Prasen. This Bengali Movie Directed by Rajiv Kumar.